Bring your own manga characters to life! With millions of fans around the world, manga is a beloved art form. 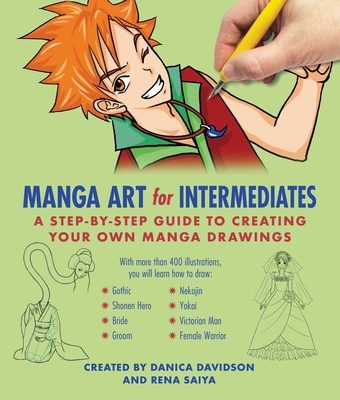 Now you, too, can learn how to draw your favorite characters from Japanese comics and anime! Manga Art for Intermediates shows you how to draw detailed clothing, facial expressions, and other features, like hair and accessories. With gradual steps and helpful tips, this book will have you creating your own colorful characters in no time at all! The authors have done all the work for you. Just follow their simple, straightforward instructions, study the step-by-step drawings, and you'll soon have your own collection of fantastic manga characters! Rena Saiya is an illustrator specialized in manga. She lives in Japan.